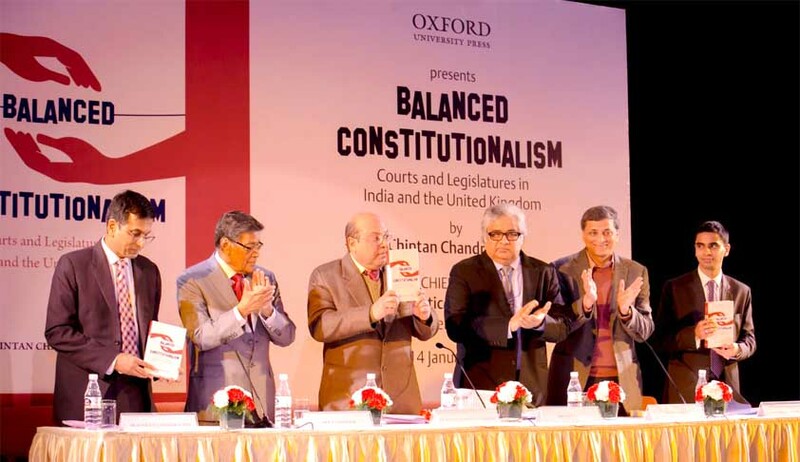 The release of Chintan Chandrachud’s book, Balanced Constitutionalism: Courts and Legislatures in India and the United Kingdom, at the India International Centre, in New Delhi, on Saturday, saw a galaxy of speakers exchanging ideas on the concerns articulated by the book. Among all the speakers, it was senior advocate, K.K.Venugopal, who stirred up a controversy, by urging that the Supreme Court’s judgment in Kesavananda Bharati case must be revisited by a bench of more than 13 Judges, by following a principle, which is better than striking it down, by sending the issue back to Parliament for resolution. As Chintan Chandrachud’s book favours the U.K. model of ‘declaration of incompatibility’ by the courts, rather than the Indian model of striking down of laws through judicial review, the issue provoked the speakers to share their views. Senior Advocate and former Solicitor General, Harish Salve, speaking after Venugopal, shuddered at the thought of revisiting Kesavananda Bharati. He recalled what the former Supreme Court Judge, Justice P.N.Bhagwati once said: “Don’t ever reconsider Kesavananda Bharati. You would lose what you have”. Describing the basic structure doctrine, which the Kesavananda Bharati judgment gave birth to, as the founding faith, Salve said what we have lost is flexibility. He pointed to the growing trend of the Executive turning to the judiciary to get rid of thorny issues, such as inter-State water disputes, and when army should be called etc. When the Judiciary intervenes in such matters because the Government wants it to have the final say, it is called judicial activism and overreach, he said. It is a growing up process, he suggested. He contrasted how the so-called weak court in the U.K. deals with the Brexit case, while the so-called strong Supreme court in India restored Section 377 IPC, to the statute, leaving it to Parliament to decide. Justice D.Y.Chandrachud of the Supreme Court, who introduced his author-son to the audience, said the doctrine of deference prevents the Indian Supreme Court from analysing the implications of competing rights, while the strong form of judicial review in India faces the problem of democratic legitimacy, and the divide between review and policy. He said the terms ‘judicial restraint, judicial activism’ don’t really count, and risk masking the sophisticated nature of the problem before the judiciary. Justice Nariman said he shared the author’s criticism of the reluctance of the Supreme Court to strike down legislation, which is found to be blatantly against fundamental rights. Chintan Chandrachud, while thanking the speakers for sharing their insights, said striking down of legislation takes effect instantly, while the U.K. model of declaration of incompatibility has no legal effect. He said that the Indian alternatives of advisory opinion (Article 143), and the recommendations to Parliament in the Supreme Court’s judgments lack the institutional rigour of the U.K. model. Many former and present Judges including former CJI JusticeT.S.Thakur attended the event.